I'm sure we've all been there; you're out for the day and your phone battery starts to die on you. Do you turn it off and save the battery in case of an emergency? Do you leave it on and hope for the best? Thankfully now you don't have to do either, you can buy a portable phone charger, keep it in your bag and charge your phone wherever you are. I've been on the lookout for one of these chargers for ages now, and a couple of weeks ago received the Power Theory Portable Charger*, which is just what I was after. The Power Theory charger is a mobile unit that, once charged, is capable of recharging your mobile phone, iPad, iPod, tablet or any other mobile device that you can think of. As you can see from the first photo, there are two USB sockets, so you could charge two devices at once if you had another cable. 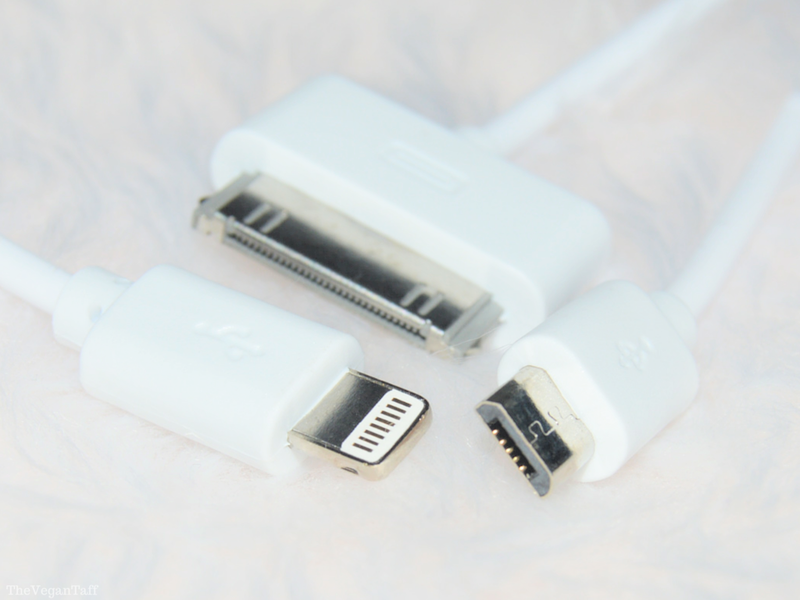 The charger comes with a charger cable that you can either plug into your laptop/PC or a USB plug socket. I've used both and the charge time is exactly the same at around two and a half hours. It also comes with an instruction booklet and, of course, the lead to plug into your mobile device. I have a Samsung Galaxy Note 2 and find that because it has a rather large battery, the Power Theory will charge my phone twice from empty, but it does contain enough power to charge other devices up to four times. So if I'm out and I have my phone and iPod with me, I don't have to worry about either of them running out. The size is really good too, it's slightly smaller than my phone and is the same thickness, so it would fit in a large pocket, but I always carry a bag so that's where I choose to keep it. I'm really impressed with the leads it comes with, I don't know if I've had some shoddy ones in the past, but almost every cable I've had to charge my phone with has been pretty loose, meaning that if I knock the phone while it's charging I'll have to reconnect the charger, but the lead that comes with the Power Theory stays in both the phone and the charging unit even if it's being knocked around in my handbag. The first time I charged the unit after delivery it took three and a half hours to charge fully, but each time after that it takes an hour less, I don't know why that is but I'm certainly not complaining. As the unit is charging you'll see four blue lights blinking in the top right hand corner, each light represents the number of charges you'll get from it, so when the final light stops blinking you know it's fully charged. There's also a little button on the top right that once pressed will show you how many charges you have left, so you don't have to worry about running out or being caught short. 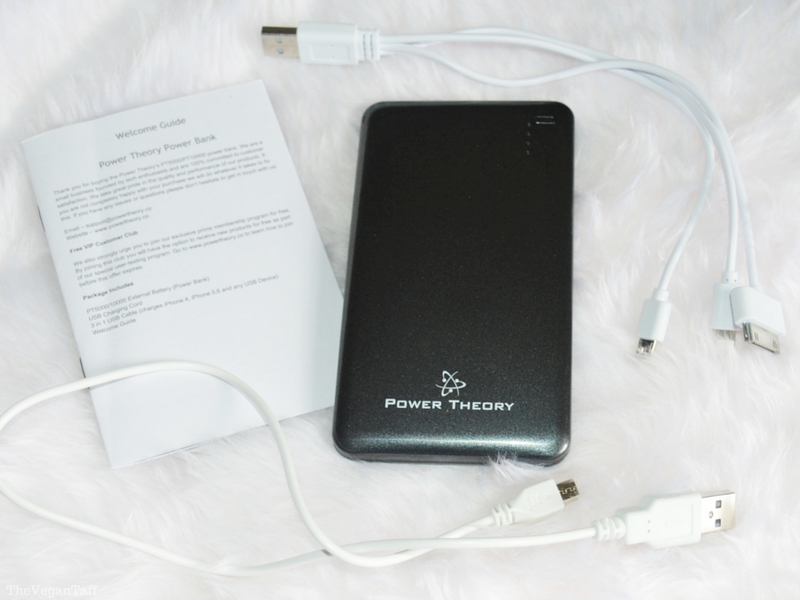 I'm absolutely thrilled with the Power Theory Portable Charger and can't imagine being without it now, it has a permanent place in my handbag. I really can't believe it's taken me so long to get around to trying out a mobile charging device, but I'm glad I finally have, I don't ever want to be without it now. Power Theory Portable Charger is available from Amazon for £28.95. 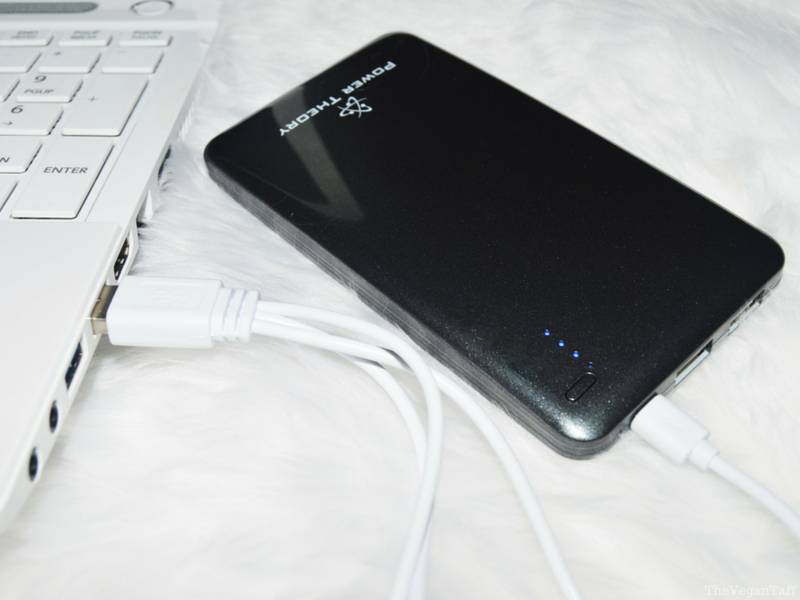 Have you ever tried a portable charger? Do you love it as much as I love mine?